Is Blood Pressure Diary an app you can recommend to your patients? 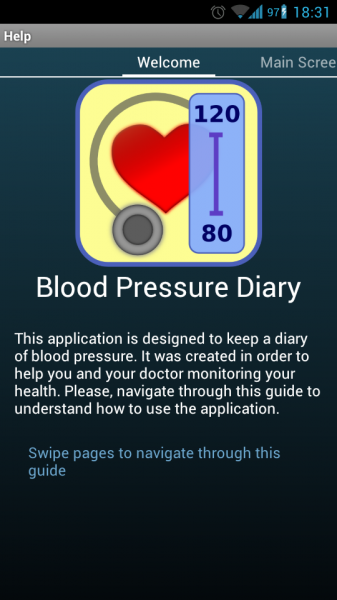 If patients use this app, will they provide more reliable information to their physicians about their blood pressure (BP)? 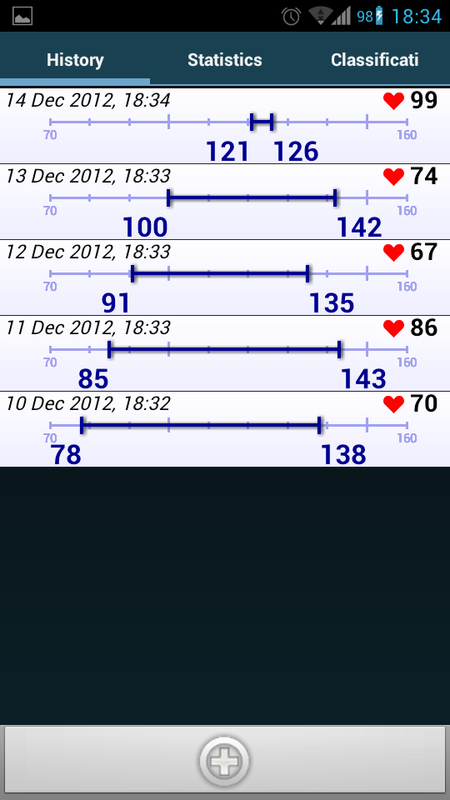 Hypertension is a condition spread wide and far across the globe. In the United States alone, over 76.4 million adults have been diagnosed with hypertension. This makes being able to accurately track your patients’ BP a necessity. While keeping a journal of such measurements is always recommended, patients often tend to forget to bring their logbooks with them. They don’t, however, forget to bring their smartphones along. Blood Pressure Diary is an android project supported by the Open Innovations Framework Program, FRUCT. The FRUCT program focuses on arranging an international group of students supervised by credible experts. The FRUCT program promotes telecommunication and mobile device oriented research and technologies. 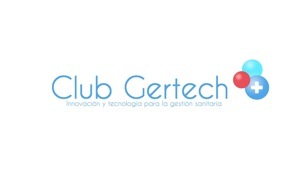 The directions of research within the FRUCT program includes (but are not limited to) open source solutions and MAEMO systems, smart spaces, physical air interface, embedded networks, mobile devices software and services solutions. There are three tabs at the top of the Main Screen: History, Statistics and Classification. On all of the tabs is a button at the bottom of the main screen to add a new record. The History tab contains a list of previous records. The Statistics page will show information about maximum, minimum and mean values of the recorded measurements. 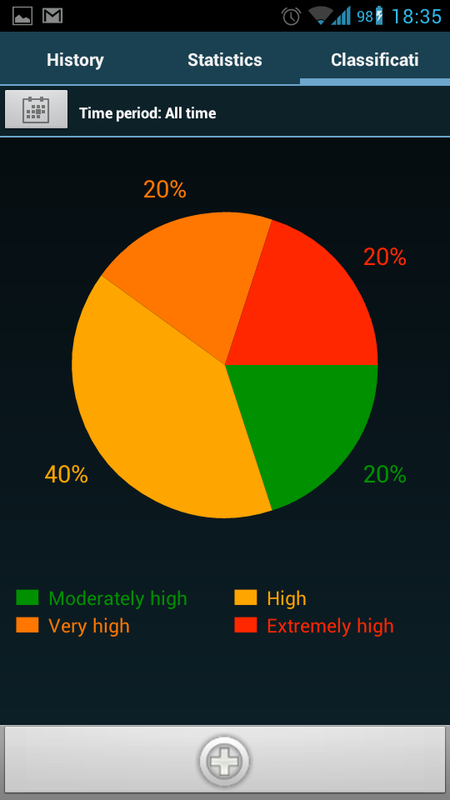 The Classification tab has a pie chart showing the distribution of the different Blood Pressure measurements. If adding a new record, simply tap on the plus sign that’s at the bottom of the screen and you will be met with the following screen where values can be inserted. 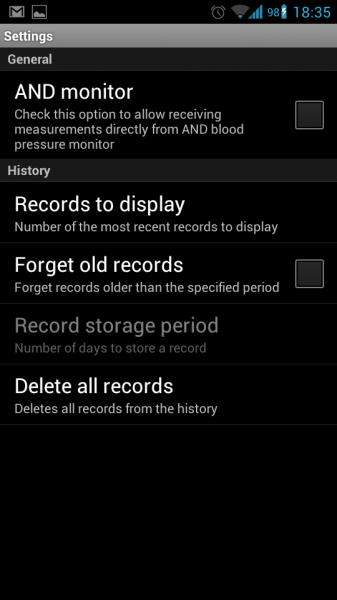 Using Android’s menu button you can access the app’s settings. 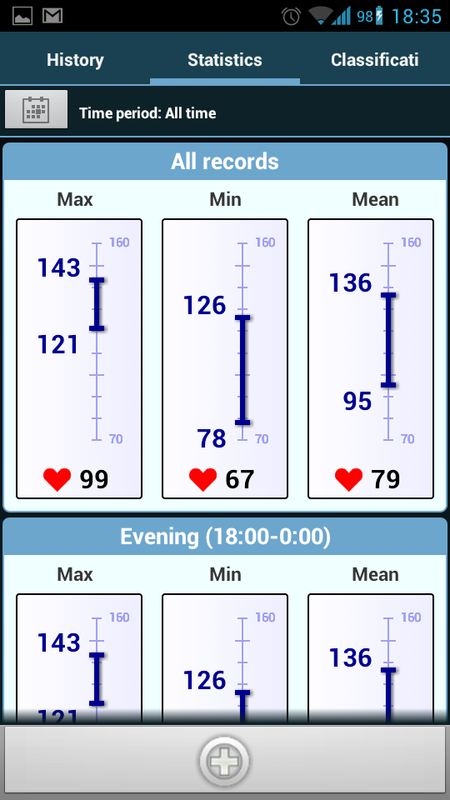 Here you can set up the app to receive measurements from the ‘AND Blood Pressure Monitor’ via Bluetooth; the data will then be stored automatically. Records can also be exported and imported and sent through email. 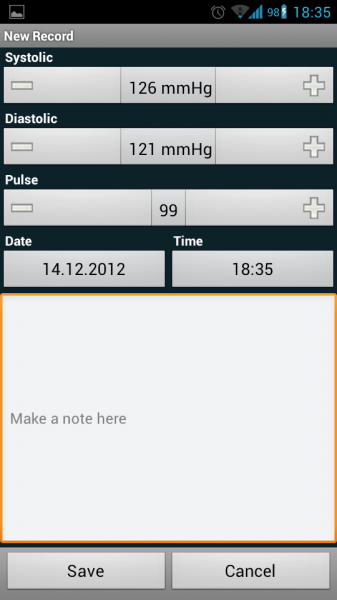 A simple app for keeping track of your patients’ Blood Pressure. Nice integration with the AND Blood Pressure Monitor. User Interface: 3/5 stars. Easy enough to use. Multimedia Coverage: 2/5. Very little use of graphics and other media. Price: 3/5 Stars. The app is free.